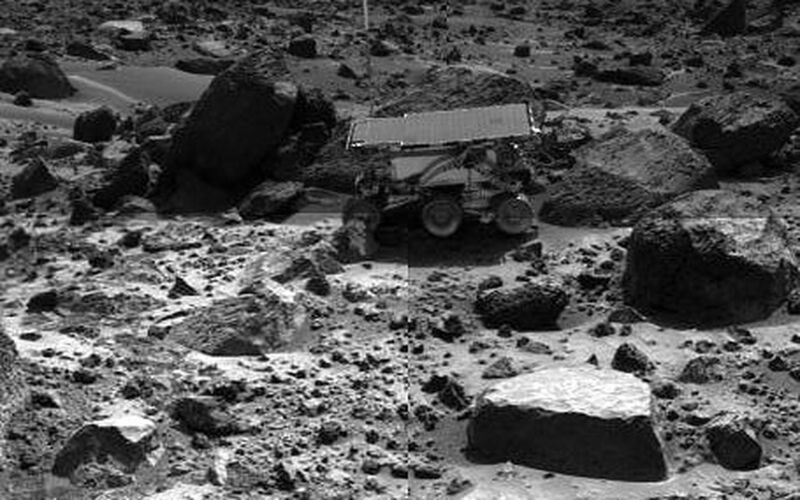 This is the left image of a stereo image pair showing the Sojourner rover in the middle of the afternoon on Sol 66 (September 9). 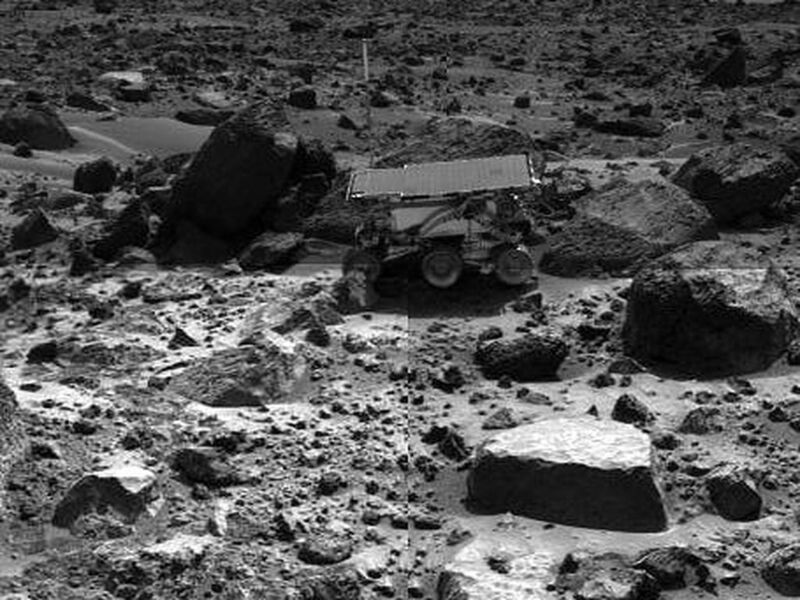 The rover has backed away from the rock "Moe" (to the right of the rover) after measuring its composition with the Alpha Proton X-Ray spectrometer. 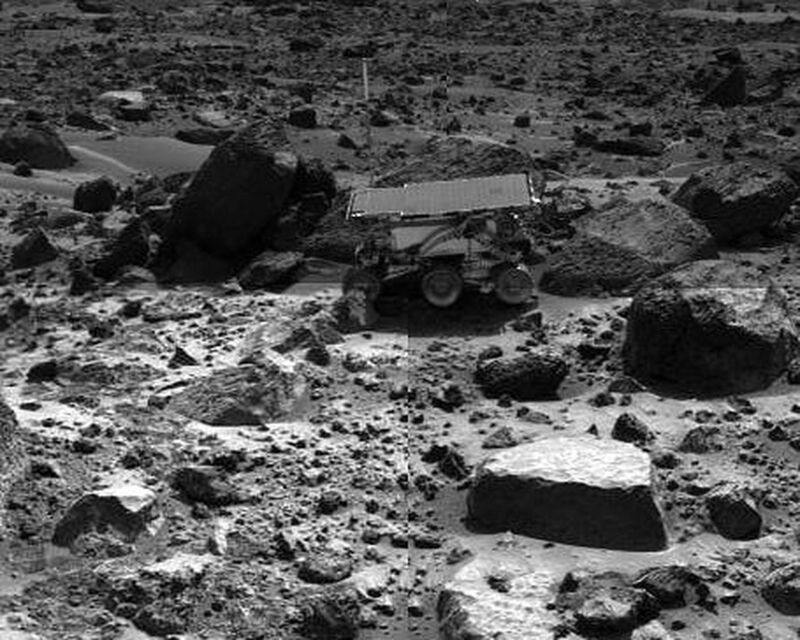 The next target for Sojourner, the rock "Stimpy," is in front of Moe. 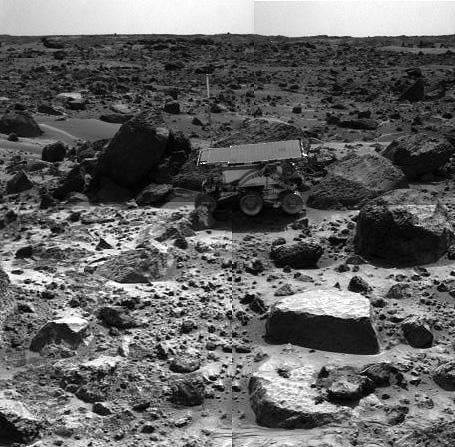 This image and PIA01561 (left eye) make up a stereo pair.